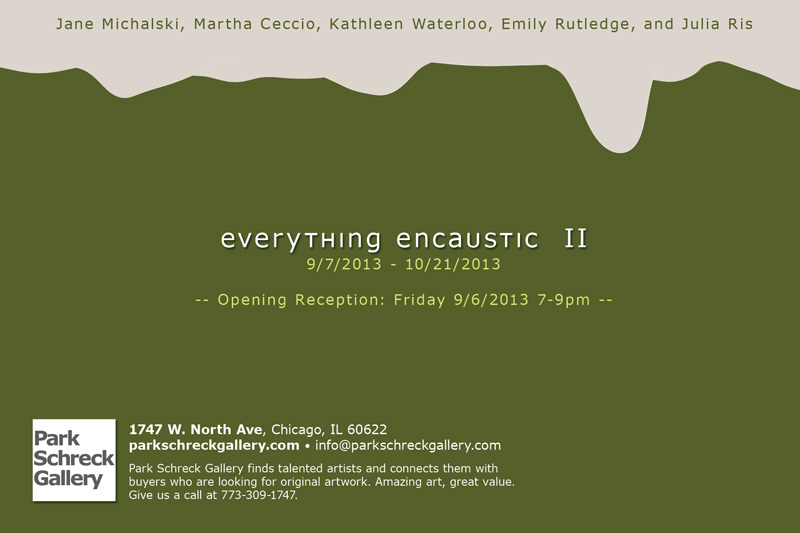 We are happy to be having our second exclusive encaustic show. There will be an opening reception party on Friday, September 6th from 7-9pm. Featuring work by Jane Michalski, Martha Ceccio, Kathleen Waterloo, Emily Rutledge, and Julia Ris.